Exceeding expectations for 15 years. 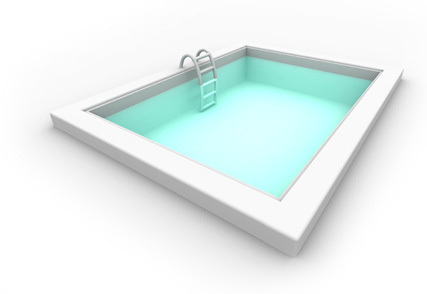 A full service pool/spa design, engineering and construction company. Your vision backed by our craftsmanship. Showcase a unique and creative expression of your personal, individual style. Tailored luxury you can afford. We make it easy by providing an array of financing solutions to fit your needs. Montgomery Custom Pools specializes in in-ground pool and spa design, outdoor kitchens, lighting, playgrounds, and other outdoor construction, and renovation. We offer free estimates at your convenience, and can offer many different plans, or you can watch your own ideas come to life in your backyard. View our process. 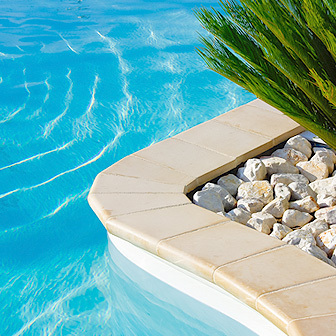 Just as your own signature is a unique and creative expression of your personal, individual style, a Montgomery Custom Pool can be your personal expression in water, rock and stone. Whether your dreams call for a small but unique custom pool, an athletic lap pool, a falling edge waterscape or a natural lagoon retreat with a rock waterfall and grotto, Montgomery Custom Pools is uniquely qualified to bring all your visions to life. 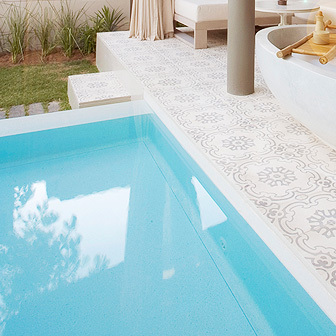 Even the most loved and beautiful swimming pools require a little face lift from time to time. 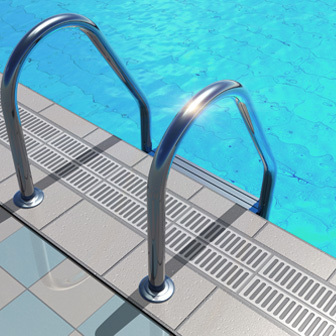 At Montgomery Custom Pools we can offer you everything from minor makeovers like pump and equipment updates, to more serious renovations that may include complete deck removal and replacement, the addition of waterfalls, fountains, and water features, or custom tile, brick and stone. No job is too big or too small. When your pool is complete, we can either leave your yard sod-ready, or you may choose to have us landscape it for you. You can design your own backyard hide-away, or let us customize it around your new canvas. There are many special features to choose from that will accent and give your project that unique look. Let your imagination run wild with options that include fire, waterfalls, lighting effects, bubblers, misters and more. Want to keep the party poolside and out of the house? Take your backyard to the next level by adding an outdoor kitchen tailor made to suit your individual needs - whether you cook for yourself, a small family, or entertain multiple guests. We are there for you every step of the way, from the layout and design process, materials, countertop options, exterior finishes, and even helping to choose the desired amenities. We are proud of our work - our customers are too! Residential and commercial references are available upon request. It's all about our attention to detail. Have a look at some of our latest projects to see the difference for yourself.